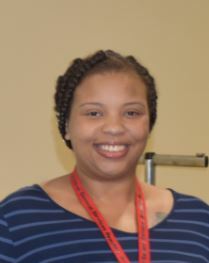 Aarica Dupree, an Administrator I in the Surplus Property Division, is an outstanding team member who executes her duties as our GovDeals assistant in a thorough and professional manner. She also takes a personal interest in making the bidding/sales experience positive for each customer. As GovDeals assistant, Aarica is responsible for reviewing, maintaining and updating daily online auctions. Furthermore, she is responsible for reviewing and processing auction payments within 24 hours. Since she began in this position, she has maintained a ninety-five (95%) average closure rate of all items posted for sale in Maryland’s GovDeals. Rendering high quality customer service is of utmost importance to Aarica, and her customer service skills are exemplary. She listens to customers concerns and offers solutions, and she ensures that every bidder/customer is satisfied with the level of service provided. Something of which she is most proud are comments from a GovDeals customer responding to the state’s online customer survey. That customer commented that Aarica provided excellent customer service. Aarica’s hands-on approach and initiative have contributed to successful sales on GovDeals. More than 30,825 items – or 95% of assets posted – have been sold since January 2018. A mere 4% of the items posted for sale were returned to the agency for disposal. Aarica continues to grow and develop in her career by attending college. 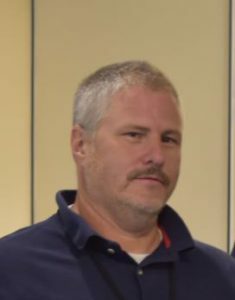 Tom LeGuire, Project Manager with the Facilities Engineering Division of FPDCE, brings a lot of knowledge to DGS, given his background in different roles at various state agencies. The greatest thing Tom brings, however, is customer service! He knows how to be responsive, how to be where he is needed, and how to keep things moving. The torrential rains the Baltimore area experienced in May caused extensive flooding to the Maryland Department of Health’s (MDH) Spring Grove Hospital in Catonsville, an occupied, residential facility providing psychiatric services. Water was seven feet high in some of the buildings. It didn’t get into patient areas, but it created chaos for the mechanical and electrical systems in these facilities, including a loss of hot water. The hospital is short-staffed right now, with vacancies in key maintenance positions. Tom spent 6 days onsite full time, managing the recovery process. This included everything from diagnosing the damage and contacting contractors and overseeing their work to meeting daily with MDH staff to update them. After the flood, the Baltimore County Health Department received an anonymous tip on the condition of the kitchen. Tom escorted the county inspector through the area. The kitchen received a satisfactory report as a result of the work he had managed. Thanks for Doing Great Services, Tom! Abraham Ortiz is a highly talented maintenance chief who ensures that the power plant in Annapolis runs smoothly. He is always courteous and willing to work long hours — often two shifts in a row. Abe supervises the employees who are operating and maintaining the major heating and air conditioning equipment, plus all auxiliary equipment, temperature and operating controls and electric generators, which power the state buildings comprising the Annapolis complex. Since these are only a fraction of Abe’s responsibilities, the State of Maryland is very fortunate that Mr. Ortiz has the ability and the stamina to work the long hours that his job requires. Truly a tremendous asset to the FOM operations. Security Officer Brenda Redding has been a security officer with MCP’s Annapolis Detachment since July 2014. Her customer service skills are exemplary. She communicates effectively with everyone she meets, from senators and delegates to elementary school children visiting the State House. S/O Redding not only performs her duties and responsibilities at an outstanding level, but she can also always be counted on to treat people with respect and professionalism. She takes customer service very seriously and makes sure people’s concerns or needs are addressed. Always well-groomed and with brass polished, S/O Redding portrays the Department in a very positive light. She always has a smile on her face and speaks positively with words of encouragement. When additional duties are requested or overtime events occur, S/O Redding can be counted on. Without a doubt, she is among the top MCP employees. S/O Redding no only represents MCP extraordinarily well on duty but also off duty. She has volunteered endless hours to make, serve and clean up after breakfast/dinner at the Lighthouse for the Homeless organization in Annapolis. She has encouraged and recruited many of her co-workers to volunteer as well. The Light House relies on its volunteers to supply, cook and serve the residents breakfast and dinner every day of the year. Ms. Redding plans the meals, purchases all the ingredients – out of her own pocket – prepares and serves the meals, and makes sure any leftovers are properly stored. She can be found there most weekends, with co-workers and family members by her side, serving meals and spreading comfort. She is also a big supporter of the Maryland Charity Campaign, donating to several charities and encouraging others to donate. S/O Redding is nominated for Caught DGS not only for her professional qualities, like commitment and a drive for excellence by being the best that she can be. She is also nominated for her personal qualities, like determination, cheerful optimism, empathy, and being an amazing role model – at work and for her family.